Medical appointments – we will pick you up at home and take you to your appointment, accompanying you into the clinic or hospital to make sure you get to the right place. We can wait for you, or leave our card with reception who will phone us when you are finished. Liaising between medical staff and family – if requested we can attend an appointment with you to provide extra support. ACC funded transport – all our drivers are ACC registered vendors. We transport ACC claimants to their medical appointments, to work and in many cases we take children to school if the ACC claimant is unable to do so. If you are an ACC client let your case manager know that you would like to use Freedom for your transport needs. 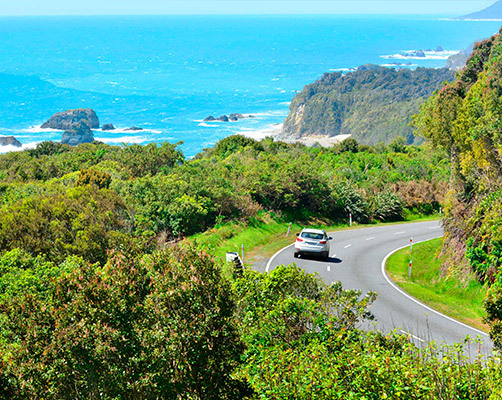 Scenic drives & social engagements – book a driver to take you out for a scenic drive. Its great to get out and about especially if you have been unable to drive for a while. You might like to out to lunch with a friend or attend a social gathering. Or ask your Freedom Driver to take you and a friend to a movie and pick you up afterwards. Shopping & personal grooming – we can drive you to the shops and come in and help you do your shopping and carry your bags if you need us to. We can stop off at the pharmacy, pick up a takeaway meal on the way back, and even come in and help you pack your shopping away if you would like us to. We are also happy to take you to personal grooming appointments – the hairdresser or beauty parlour and pick you up afterwards. 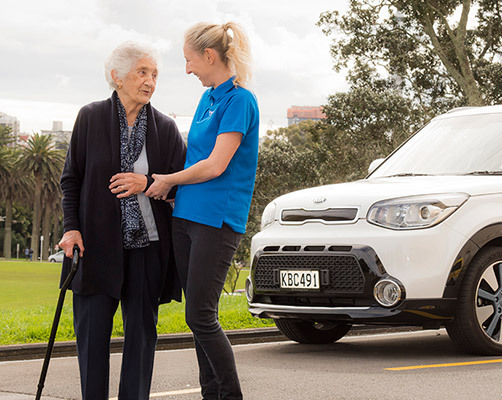 Total Mobility Service – in most areas we are able to take the NZTA funded Total Mobility cards or vouchers (taxi chits) which allows you the appropriate discount on your fare. Ask your local driver for details. Children’s safe school transport – if you need reliable safe transport for your children for school runs, to school and after school – look no further. We do not just drop children off outside a school, we park the car and always accompany them inside to make sure they are taken to a specific place or or handed over to a specific person just like you would do if you were driving your children yourself. After school activities & sports – we know how hard it is to juggle all the transport children often require. You may need to take one child to ballet, another to football and another somewhere else. This can be problematic if parents or caregivers are working full time. We can collect children from school and take them to their sports and activities or just bring them home as needed. Children will always be accompanied to the correct place and/or booked in with the right person. 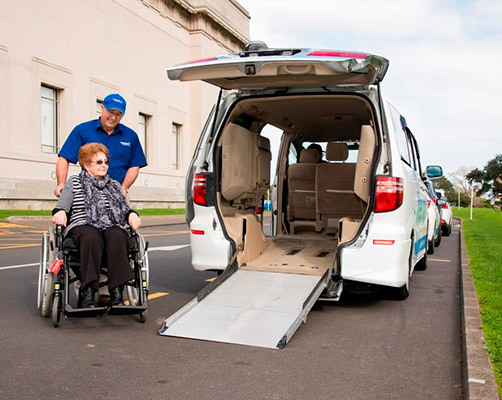 Wheelchair accessible vehicles – we are able to provide wheelchair vehicles in some areas. Please check our driver details to see if a wheelchair accessible vehicle is available in your area. 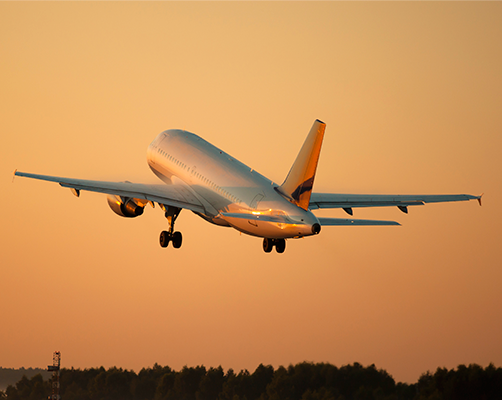 Airport drop off & pickups – the usual transport but with extras. We will come to your door at home and assist you with your bags. At the destination we will assist with all luggage and accompany you inside the airport/ bus or train station to make sure you check in with no problems if you need us to. Business travel – Freedom Drivers area a great choice for meetings, conferences and other business transport. Perhaps you are here on a conference and your partner would like to take a scenic drive or do some shopping whilst you are busy. Perhaps you would like a driver to pick up after conference or a meeting and drop you at a restaurant. 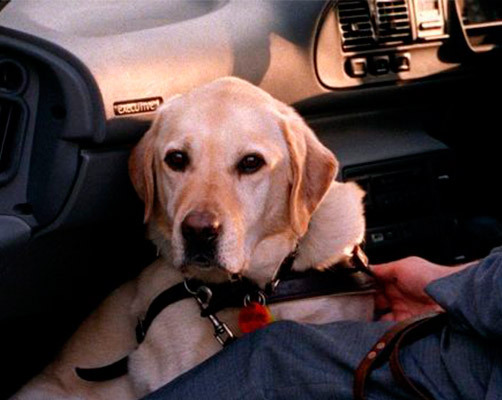 Travel with pets – we are happy to transport you and your guide dog or assistance dog. We frequently assist people to take their pets to the vet or kennels. Just give your driver a ring and explain what you need. Hire your own personal driver for an afternoon or a full day for a relaxed, friendly local experience. On holiday and don’t feel like taking a crowded tour? Arriving on a cruise and would prefer a calm, relaxing and friendly drive to check out the local sights? A Freedom Driver is a great option. We can take you where you want to go or make some recommendations. For a completely flexible personal driving service for tourists speak to your local Freedom Driver. Just look on our contacts page to find your local Freedom driver and ring them directly. Will you provide me with a price in advance? 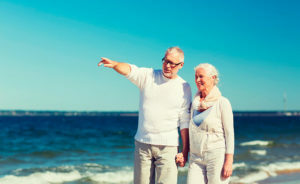 Yes- your local Freedom driver will contact you in advance to discuss your specific requirements and provide you with a fixed price for your transportation, so there are no surprises at the end of your trip. Just call us anytime you need us and we will do our very best to accommodate your needs as soon as possible. If for some reason your regular driver is unavailable, they will arrange for another friendly Freedom driver to transport you. Can you provide assistance at my appointments? 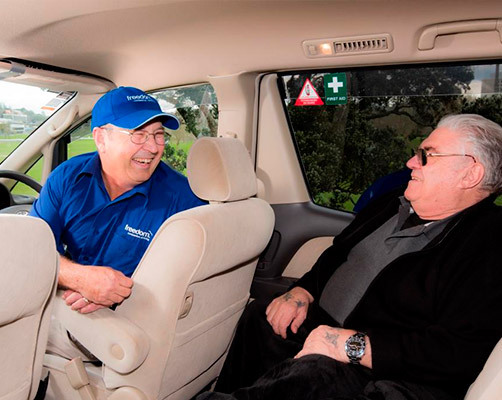 Yes- unlike a taxi service Freedom drivers can provide both transport and assistance for any appointments including taking notes regarding treatment or prescriptions for care givers or relatives. Yes- we frequently transport school age children to school and activities. We will also take younger children and babies with their caregiver and we are happy to use your own car seat. Can you help me with shopping? 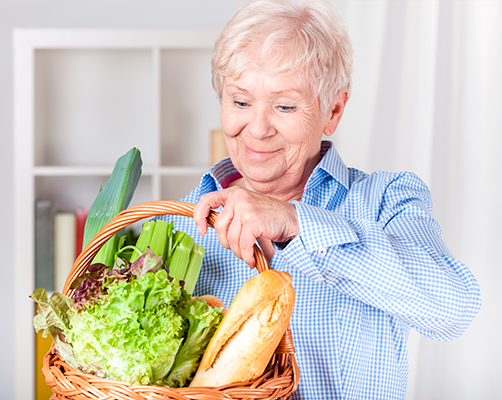 Yes – we can drive you to the shops and then go inside with you to assist, push your trolley, carry your bags and load everything into the car for you. Yes – all our drivers are ACC registered vendors and we frequently provide driving services for ACC clients. Make sure your ACC Case Manager knows you would like to use Freedom Driving Services. Yes – check with your local driver for your particular region. Can I get the same driver each time I make an appointment? Yes- All Freedom Drivers are local to your area and will be happy to drive you each time you need them. 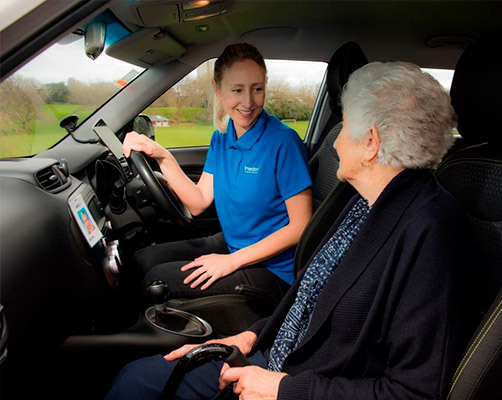 Every Freedom driver is trained to make your journey as enjoyable possible which is just part of what sets the Freedom Driving Service apart. If for any reason you would prefer a different driver, just let us know and we’ll arrange everything for you. I use a walker can you take that in your car? Yes – we are happy to fold your walker for you and put it in the back of the car. Do you have wheelchair capable vehicles? Yes – we do in some areas please check with your local driver. Do you transport pets and Guidedogs? Yes – we are happy to help you take your pet to the vet and your guidedog or assist dog is more than welcome. Are your drivers police checked? 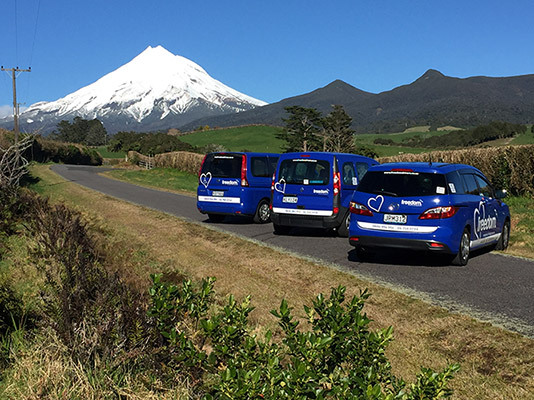 Yes- all Freedom Drivers have been security screened by the NZ Police for your peace of mind and are fully licensed to carry passengers. How does Freedom compare to other transport options? Unlike other transport options such as buses or taxis, Freedom Drivers are more convenient and we pride ourselves on providing a personalised service at affordable and competitive prices – often less than the cost of a taxi. Whilst we get you from A to B like a taxi does – we provide so much more in terms of extra help.